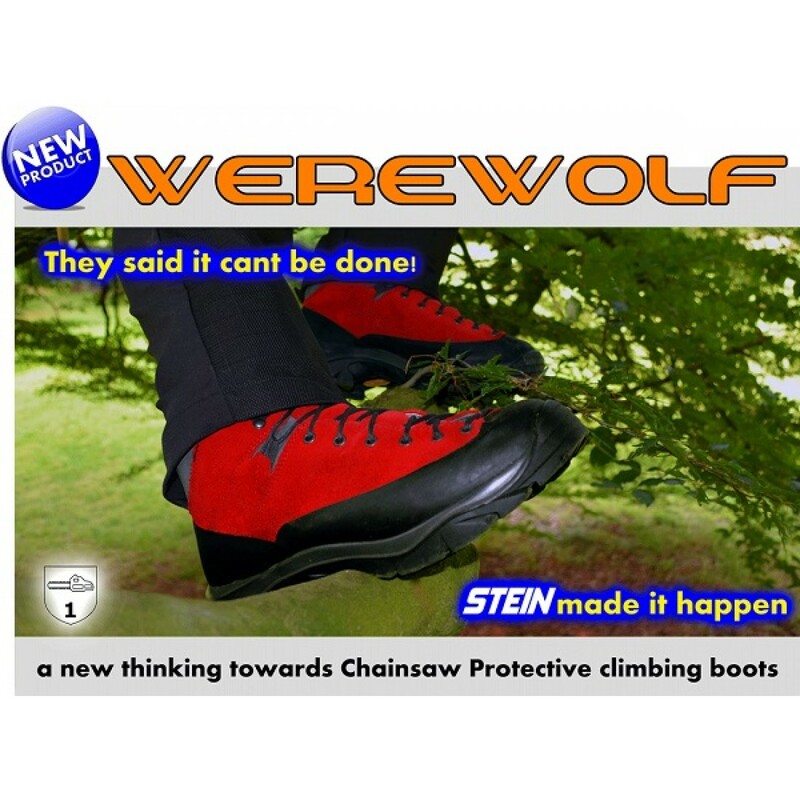 The tough and comfortable, lightweight STEIN Werewolf is an eye catching hybrid climbing boot with a new approach to chainsaw safety specifically designed for tree climbers. Toughness is provided by using a high quality leather upper made from 1.8/2.00mm Perwanger which is Silicon impregnated during tanning to offer water-resistance. An all-round rubber rand provides extra protection to the leather from knocks and scrapes whilst climbing. Fitted with the STEIN bed-liner which offers bio-mechanical support to the foot., the anatomical shape of the bed-liner helps to distribute pressure and absorbs shocks. These footbeds are produced using anti-bacterial breathable compounds with rapid absorbency and drying properties. The boot is leather lined for added weather resistance and all-day comfort. The boot features the Vibram Werewolf sole which offers superb grip on all kinds of surfaces. The tough midsole and forepart cradle system ensures support and confidence when climbing but also offers flexibility. The asymmetric lace to toe system allows the upper to be tightened in the correct places giving the wearer the most comfortable fit. 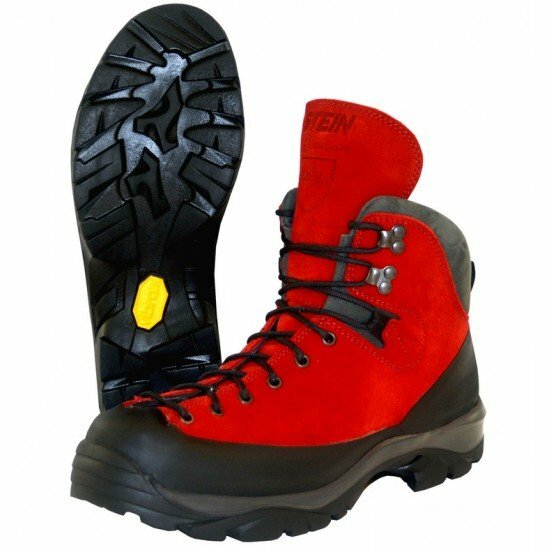 This industry first is the only CE certified chainsaw boot (EN17249:04) which has no Toe Cap, reducing both the weight and bulk which is associated with chainsaw footwear. The Werewolf has been designed with minimal seams to reduce snag and wear points, but at the same time enhances the aggressive appearance making this boot a contender for urban fashion as a casual everyday boot. This product has been tested in accordance with EN 17249:2004+A1:2007 for Class 1 performance (protection at linear chainsaw speeds up to 20 m/s) but under the 'Recommendation for Use' document issued by the Vertical group number CNB/P/10.155a. They are to be used for Tree Climbing Operations and Restricted use by competent, trained operators who confine them to off-ground work in trees. They are NOT FOR USE WITH HANDHELD CHAINSAWS ON THE GROUND.